Political drama House of Cards may be one of Netflix's most popular shows, but its future looked a bit rocky a few months ago. To be clear, ratings for the show have always been high, and fans generally like all five of the seasons released so far. However, one of the show's main stars, Kevin Spacey (who portrays Frank Underwood on screen), was accused of sexual assault last year. This accusation prompted Netflix to pull the plug on the show's production, later booting Spacey from its platform entirely. Naturally, this decision raised concern among House of Cards fans about the potential for additional seasons. Fortunately, Netflix resumed production after deciding to shift the show's focus from Spacey to his main co-star, Robin Wright. A teaser for the show's sixth season was revealed back in March, but now we know when we'll be able to binge watch the series once again. 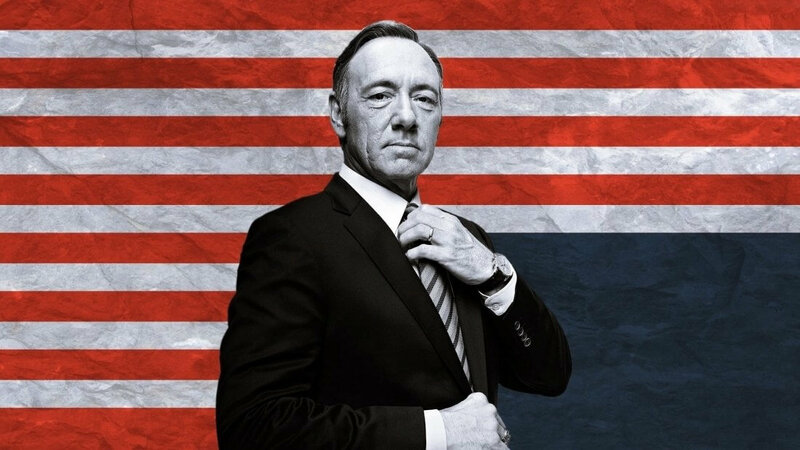 Netflix today announced on Twitter that the "Final Season" of House of Cards will be arriving on November 2, 2018. Whether or not fans will choose to stick with the show without one of its main characters remains to be seen. LOL "Whether or not fans will choose to stick with the show without one of its main characters remains to be seen." You mean, THE main character. I really hope viewership drops like 50% but we will never know. They should've just cancelled it. Kevin was the **** in this show and even the story is warped because he's gone. No way I’m wasting time on this. Honestly Kevin should’ve quit while he’s ahead and went for a career that’s more forgiving, like politics. Honestly, seasons 4 and 5 were terrible. 1-3, Underwood stopping to address the camera, explain what is going on why, why, and how he was going to take advantage of it is what made the show so good. But the last two seasons, all he does is gloat and insult the other characters. The politics don't make sense any more - they either expect the viewer to already know [obscure political procedure move], or they just make things up. The pacing was weird too. It is like there is a whole season missing between 3 and 4, and like 4 and 5 each had two seasons worth of content crammed into one each.